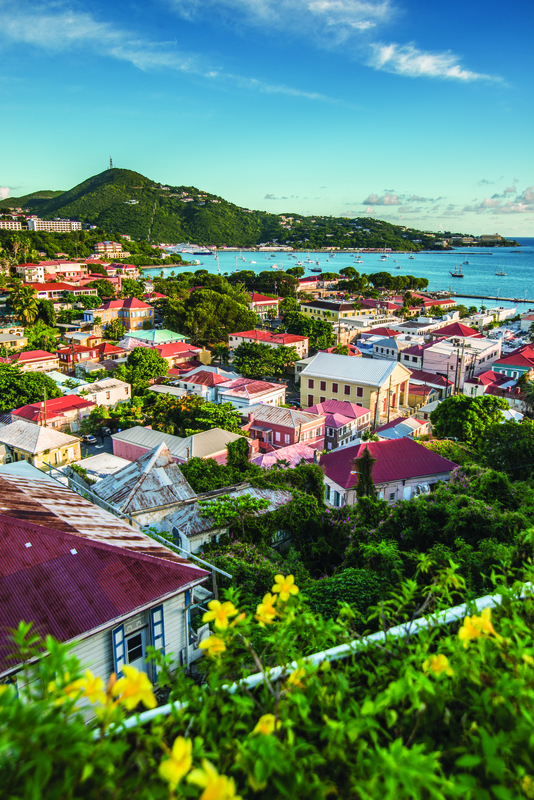 St. Thomas’s history and culture alone are worth a visit to the island. Fort Christian, a U.S. National Landmark, is the oldest standing structure in the Virgin Islands and home to the Virgin Islands Museum, where early island memorabilia and old maps trace the islands’ history. Market Square, a bustling produce marketplace, was once one of the West Indies’ busiest 18th-century slave markets. Also of interest is the Synagogue of Beracha Veshalom Vegmiluth Hasidim, the oldest synagogue in continuous use in the United States. On nearby Government Hill, looming over Charlotte Amalie, stands Blackbeard’s Castle. Known during colonial times as Skytsborg, this 17th-century fortified tower also served as a popular restaurant and hotel before the ravages of Irma. They are in the process of rebuilding but the historic portion remains. Located in the hills not far from the heart of Charlotte Amalie, Government House has been the center of government in St. Thomas since the mid-1860s. Visitors interested in seeing St. Thomas’s political life may tour the building’s first two floors. The 99 Steps, made by bricks that were once used as ballast on Danish and British ships, were built into the hillside to keep the orderly grid of the city intact. Whether indulging in some of the world’s prettiest beaches, re-discovering history at museums, forts or historic houses, admiring stunning panoramic views via a hike, bike or sky tram, playing a round of golf, making a splash in the invigorating turquoise blue waters, or visiting duty-free shops, St. Thomas has much to enjoy! 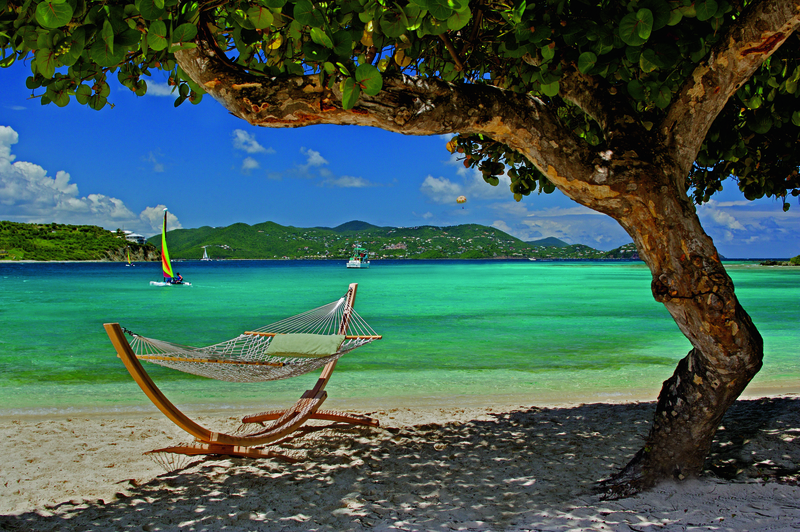 Attractions in St. Thomas appeal to both those seeking adventure and those looking for peaceful relaxation. While parts of the island are still recovering from the damage caused by Hurricanes Irma and Maria last year, St. Thomas hotels offer luxurious accommodations to complement the ultimate Caribbean shopping spree. 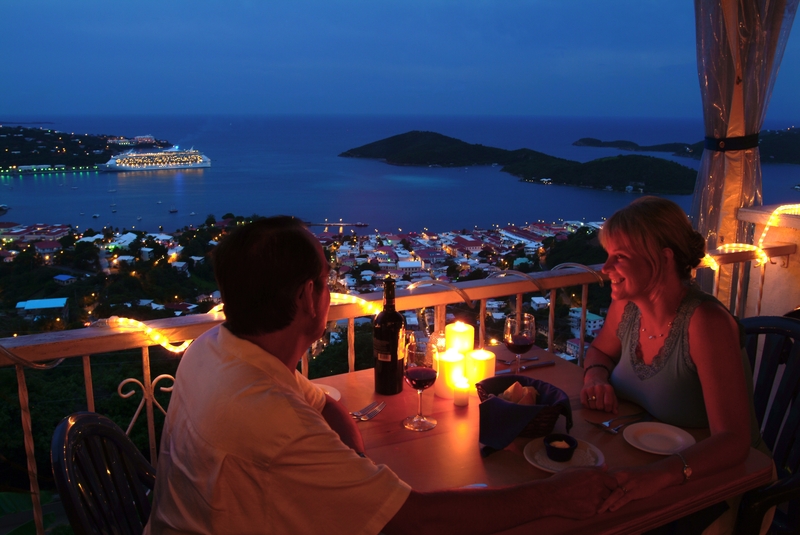 Known for their sophisticated ambiance, superb dining, and spectacular nightlife, hotels in St. Thomas offer a variety of lodging alternatives from grand resort estates to small inns and villas. Although cruise ships sometimes loom in the harbor, visitors to St. Thomas experience breathtaking views, secluded beaches and a deeply relaxing atmosphere. For an unparalleled Caribbean vacation, look no further than St. Thomas! A cozy blend of cosmopolitan charm and unparalleled natural beauty, St. Thomas offers travelers every option to ensure that you keep moving and keep smiling. To reach this $1,600 duty-free shopping paradise, just board a helicopter, water taxi, small charter plane or commercial airplane — there’s no passport required for U.S. citizens. Once you arrive, experience the island at your own speed as you enjoy a friendly taxi tour or soak up the sights behind the wheel of a scooter. St. Thomas also offers the height of Caribbean luxury to all travelers, and the island boasts many upscale limited mobility options, including several ADA-accessible beaches. Publishers Note: We here at the Old Town Crier recommend that you consider securing your lodging at the gorgeous Cliffhanger Villa. We have stayed at this fabulous place and it never disappoints. It is off of the beaten path but close enough to get into town for some nightlife! See their ad in this section or contact us for more information. This column provided courtesy of USVI Tourism. For more information about St. Thomas and the other islands that comprise the USVI log on to www.usvitourism.vi or call 800-372-USVI.